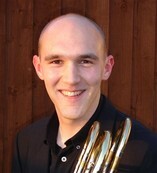 Austrian trumpet player Thomas Gansch is one of the founding members of Mnozil Brass. At the time having been a mere 17 years old, he had nevertheless already successfully substituted at the Vienna State Opera. 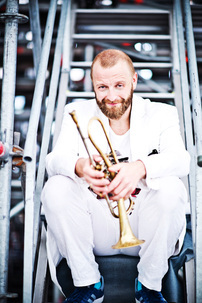 However, his love for jazz proved to be the stronger force with the result that Thomas became one of the style-defining trumpet players of the younger generation of Austrian musicians. Thomas Gansch performs on an unusual looking, self designed trumpet, commonly referred to as the "Gansch Horn" that resembles a standard jazz B♭ trumpet but with a rotary valve system made by the Austrian brass instruments manufacturer Schagerl. His recording credits in popular music include albums with Dionne Warwick, Peggy Lee, Chicago, and the Carpenters. It is the soundtracks of popular films and television shows which have made Malcolm McNab’s playing familiar to hundreds of millions of people who have never heard his name. 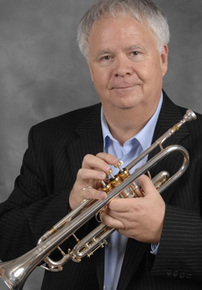 He has been in the 1st trumpet chair for John Williams on 46 scores recorded in Hollywood. His solo trumpet is featured on such soundtracks as: Dances with Wolves, Avalon, Crimson Tide, City Hall, In Country, Glory, Twister, Executive Decision, Independence Day, Con Air, Rudy, The Last Castle, Air Force One, The Postman, Cars, U.S. Marshals, Renaissance Man, Toys, Planes, Maverick, and L.A.Confidential. McNab has performed on the soundtracks of over 2,000 films, including: E.T, Jaws, Indiana Jones, Star Trek, Karate Kid, Field of Dreams, Pretty Woman, Hoffa, Home Alone, Hook, Beauty and the Beast, The Rocketeer, Robin Hood: Prince of Thieves, The Chronicles of Narnia, Jurassic Park, First Knight, Far and Away, Spiderman, Toy Story, A Bug’s Life, Monsters, Inc, The Matrix, Planet of the Apes, War of the Worlds, Godzilla, The Sixth Sense, Pirates of the Caribbean, Monsters University, Star Trek-Into Darkness, and War Horse. In 2006, Malcolm portrayed the trumpet sound of virtuoso trumpeter Rafael Mendez, appearing in the Los Angeles Opera production of Concierto Para Mendez, a one act opera which told the story of the life of the trumpet virtuoso. In November 2006 Malcolm released his first solo album titled Exquisite-The Artistry of Malcolm McNab. His second solo album The Infinite Trumpet was released in 2010. Malcolm is presently Artist in Residence at Azusa-Pacific University. He has also taught at UCLA, Pomona College, Claremont College and branches of the California State University. Malcolm has twice been the recipient of the Most Valuable Player Award of the National Academy of Recording. 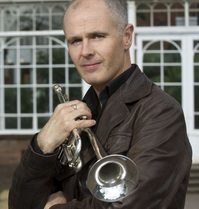 Creative Scotland winner 2003, Mark O’Keeffe has held the post of principal trumpet with the BBC Scottish Symphony Orchestra since December 1996. He is a native of County Cork, Ireland, where he began his musical studies at the age of seven. In 1992, Mark was chosen as the winner of the RTE Musician of the Future competition. He was subsequently appointed Associate Principal Trumpet of the National Symphony Orchestra of Ireland, a post he held for four years. He has appeared as soloist with the BBCSSO performing new works by Judith Bingham, Mark Anthony Turnage, Thea Musgrave and Tansy Davies, as well as concertos by Telemann, Hummel and Shostakovich. In addition to his career with the BBCSSO, he is a committed chamber musician playing with ensembles which share his passion for new music, including guest Principal Trumpet with London Sinfonietta, London Symphony Orchestra, City of Birmingham Symphony Orchestra, BBC Symphony Orchestra and Halle Orchestra. Mark O’Keeffe teaches at the RCS Glasgow where he has completed, with distinction, a Masters degree in trumpet performance and is a visiting professor at the RNCM. John began playing the horn with Pádraig Diggin and the Rathfarnham Concert Band in Dublin. He graduated from London’s Guildhall School of Music & Drama in 2001, where he studied with Jeff Bryant and Richard Bissill. He was appointed Co-Principal Horn with the London Symphony Orchestra in the same year. 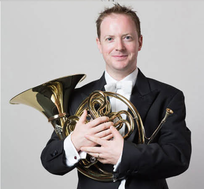 John has played as Guest Principal with the Philharmonia, Royal Philharmonic, and City of Birmingham Symphony Orchestras and the BBC National Orchestra of Wales, and was appointed Principal Horn of the London Philharmonic Orchestra in 2009. Performing as a soloist around the world, John performs both of Strauss’s horn concertos, the Mozart concertos and Britten’s Serenade for tenor, horn and strings. He has recorded Mozart’s Second Horn Concerto on the Lyric label with the RTÉ Concert Orchestra. As a chamber musician John has appeared as a featured artist at festivals around Europe and the USA and on many soundtracks as a session musician including playing the music of John Williams, James Horner, Howard Shore, Harry Gregson Williams and Alexandre Desplat. Frøydis Ree Wekre was born in Oslo, Norway. After being a prize winner in a national competition for wind players Frøydis won a position with the Norwegian Opera Orchestra. In 1961 she joined the Oslo Philharmonic and became co-principal in 1965. In 1991, she retired from the orchestra to be professor of horn and wind chamber music at the Norwegian Academy of Music, where she already held a part-time position. Nowadays she is travelling worldwide giving master classes, lecturing and adjudicating international competitions. Currently she is the horn teacher at Ingesund Music Academy in Sweden, as well as international guest teacher at the RNCM in Manchester, England. Her book, “Thoughts on Playing the Horn well” has been translated into several languages. Around 40 works have been written for her, some of which have been recorded on the labels of SIMAX, CRYSTAL and 2L.no. 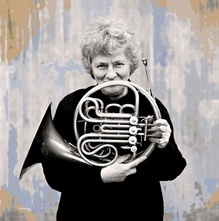 Frøydis Ree Wekre served on the International Horn Society Advisory Council from 1974-1978 and 1993-2000 and as IHS President from 1998-2000, she was appointed an IHS Honorary Member in 1994. Frøydis has been associated with the Sarasota Music Festival, USA, Banff Festival of the Arts and Domaine Forget, Canada. Jeffrey Bryant was born in Bristol in 1946. He took up the horn at the age of sixteen and soon joined the National Youth Orchestra. He went on to study at the Royal Academy of Music under Ifor James. His first professional position at the age of twenty was as principal horn with the BBC Midland Light Orchestra. This was followed by principal positions in the Bournemouth Symphony, London Philharmonic and London Symphony. In 1975 Jeff became principal and solo horn for twenty two years with the Royal Philharmonic Orchestra. Jeff’s solo career started in Birmingham in 1966. Notable performances include Mozart Four with Andre Previn and the LSO for BBC television, Mozart Concerti with the RPO at the Festival Hall and the Barbican, Britten’s Serenade for Tenor, Horn and Strings with Ashkenazy at the Festival Hall, with Previn at Symphony Hall Birmingham and in Vienna with Menuhin. Other performances include the Strauss Second Horn Concerto with the RPO and Mackerras. Jeff’s discography includes Mozart Concerti with Dausgard and the RPO, the Britten Serenade with Ashkenazy and the RPO and the Tippet Sonata for Four Horns with the Michael Thomson Quartet and Adagio and Allegro by Schumann and Romance in E by Saint Saens for the Guildhall showcase CD. 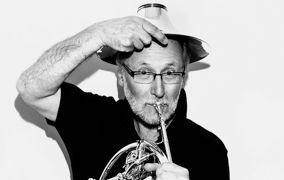 Jeff was professor of Horn at the Guildhall School of Music and Drama for 40 years from 1973, Head of Wind Brass and percussion at Trinity College of Music in 1997-98, and since 2013 he is horn professor at the Royal College of Music. He has been the horn tutor for the European Union Youth Orchestra since 1991 and also, since 2012 he holds this position with the ICulture Orchestra, Poland. For the last last ten years Jeff has worked as a freelance horn player, performing as guest principal with the London Symphony, London Philharmonic, Philharmonia and Bournemouth Symphony Orchestras. Jeff now principally concentrates his time on individual teaching, coaching horn groups in technique and orchestral repertoire, his leisure interests of sailing and motor racing and family. Dávur Juul Magnussen was born in the Faroe Islands. He started in the Tórshavn Brass Band but quickly started moving through the compact but diverse Faroese musical scene. He came to Scotland to study music at the Royal Scottish Academy of Music and Drama under Lance Green, Simon Johnson and John Kenny. During his time at the RSAMD, he had several soloist performances with the Academy Brass, and toured England, Wales and Northern Ireland with the highly successful Alba Brass Quintet. In 2008 he became Principal Trombone of the Royal Scottish National Orchestra, becoming the youngest member of that orchestra at 22 years old. He currently holds that job in conjunction with guest work with orchestras across Scotland and the rest of the UK including the Philharmonia and London Philharmonic Orchestra. He made his solo debut with the Royal Scottish National Orchestra in December 2010 with the Nathaniel Shilkret Trombone concerto and in 2014 released his first recording of solo trombone music entitled Cesurae. Davur works together with Courtois Trombones of France, in instrument development and design. 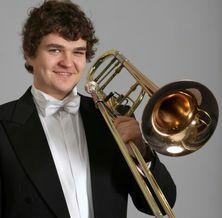 Christian Jones began playing the trombone at the age of ten and was appointed to the bass trombone chair of the BBC National Orchestra of Wales in his third year at the Royal Academy of Music. The following year, 2002, he graduated with First Class Honours and joined the Philharmonia Orchestra of London, a post he held for ten years, before moving with his young family to Opera North, Yorkshire. As President of the British Trombone Society (2013-2015), Christian is passionate about helping to nurture other brass players and has given masterclasses, taken sectional rehearsals and taught worldwide. In addition to numerous UK private pupils, he coaches regularly on The Brass Academy (UK) courses and teaches at the Junior Department of the Royal Northern College of Music, Manchester. In a solo/chamber setting, Christian appears regularly with the Symphonic Brass of London and premiered the Gareth Wood bass trombone concerto with the National Youth Brass Band of Wales. Having recently completed Wagner’s Ring Cycle at Opera North, he performs and freelances widely on both the bass and contrabass trombones. His earliest teaching came from his father and from Dudley Bright. In 1979, at the age of 15, Ian won the Shell London Symphony Orchestra scholarship and at 16 joined the European Youth Orchestra under Claudio Abbado. He made a brief stop at the Guildhall School of Music and Drama in London before becoming Principal Trombone in the Halle Orchestra in 1983. 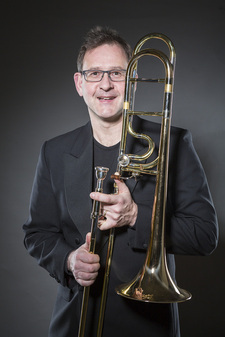 After five years with the Halle, Ian replaced one of his life-long mentors, Denis Wick, as Principal Trombone of the London Symphony Orchestra in 1988, where he enjoyed a 12 year career, was featured as a soloist with the orchestra on several occasions and recorded the soundtracks to many films, including Star Wars: Episode I and Braveheart. In 2000, Ian became Principal Trombone of the Vienna Philharmonic/Vienna State Opera – the first, and to date, only British member in the orchestra’s history. As a soloist, Ian has, amongst others, performed with the Vienna Philharmonic, London Symphony, London Philharmonic, BBC Philharmonic, Halle Orchestra. He has worked with the following conductors: Riccardo Muti, Michael Tilson Thomas, Sir Neville Marriner, Kent Nagano, Ion Marin and Matthias Bamert, and EMI, Camerata, Chandos and Doyen are amongst the labels for whom Ian has made several solo recordings over the years. Ian is currently Professor of Trombone at the Hochschule der Künste in Bern, Switzerland, a position he has held since September 2011. Ian has been awarded an Honorary Membership Royal Academy of Music in London, where he is a member of the teaching staff, and is also currently International Fellow of Brass at the Royal Conservatoire of Scotland. His list of former students includes some of our current most successful players in orchestras around the world.